I am so humbled and at a loss for words at this gesture from the Thomas family. I am honored and committed to serving their family and protecting their interest, just as I am with all of my clients. Thank you again Thomas family. You have a friend and brother for life. In appreciation for having gone the extra mile. For your unequaled commitment to excellence. You and your team are the standard to which all others in your field should aspire. 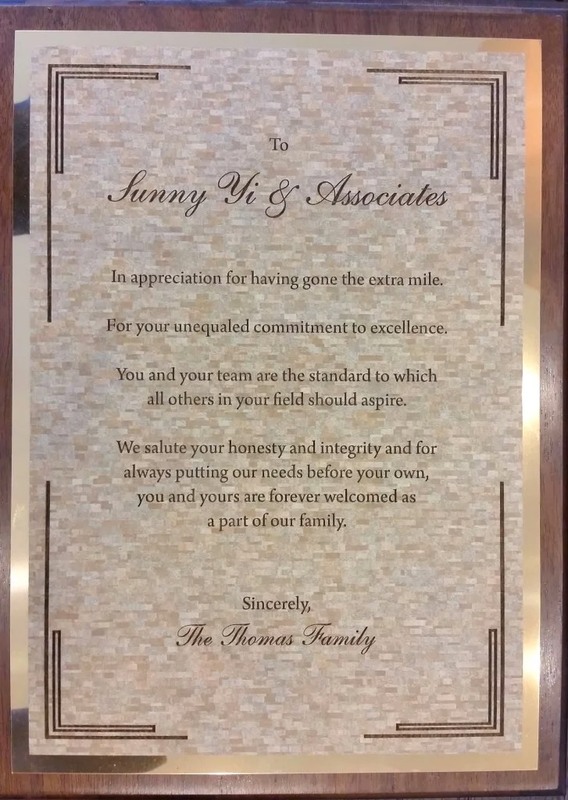 We salute your honesty and integrity and for always putting our needs before your own, you and yours are forever welcomed as a part of our family.